When dealing with a pestering cough, all you want to do is make it stop. So if you’re like most people, you turn to a common, over-the-counter cough syrup. While this remedy can make a cold easier to bear, there is a link between this soothing fix and cavities. At our dental office in West Caldwell, we always put the health of our patients first, which is why we get a little nervous during cold and flu season. While there are many things you can do to help keep germs away, sometimes catching the dreaded sore throat, stuffy nose, or constant cough is inevitable. When this happens, we want you to be cautious of how you ease the symptoms. Many cough medicines and cough drops contain ingredients that can be detrimental to the health of your smile. The most common over-the-counter medications include smile-damaging components like sugars, alcohol, and citric acids – all of which can cause some serious problems. A healthy, normal mouth is full of saliva all day, everyday. Saliva helps rinse away dangerous acids and sugars. When alcohol is introduced to the mouth, saliva production decreases and becomes less effective. 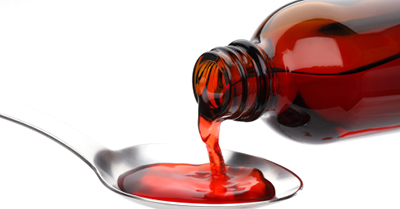 In a dry mouth, the sugars and acids that are found in many cough medicines are left in the mouth and on the teeth, and the chance of decay increases. There a few ways that you can still find relief for your cough in the medication you’re used to and lower your risk for tooth decay. Take medicine with food. Saliva production increases while eating so it can help remove dangerous sugars and acids in the medicine. Avoid cough medicine right before bed. Not only does saliva production decrease during sleep, if you take medication after your nightly brushing routine, the sugars and acids will be on your teeth all night long. Everyone at our West Caldwell dental office is hoping for a healthy cold and flu season for all of our patients. If you do happen to catch a bug, try the tips above in order to keep your teeth healthy while you’re nursing yourself back to health. Accepting patients in West Caldwell, Fairfield, Roseland, and surrounding areas.